Friends, families and Fun – Join the UK’s biggest Re-enactment Society today! Join us and be part of 350 years of history! The Sealed Knot Society has hosted thousands of spectacular events educating millions of people and also raising money towards many Charitable Organizations over the past 40 years and we want you to join us. Whether you’re interested in joining for the history, the camaraderie or for just spending time in some of the country’s most spectacular locations, you’ll always be assured a warm welcome by our thousands of members from across the UK! 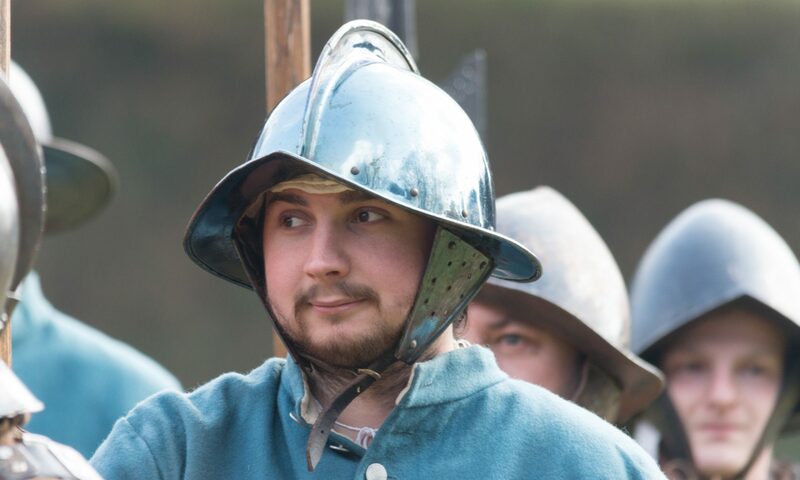 When you join the Regiment you will do so either as a Pikeman, Musketeer, Drummer, or the Regimental Living History group. Just because you join up as say, a Pikeman, does not mean that you cannot try your hand at the other arms. We would recommend that you have a go at everything. For your 1st event Suitable 17th Century clothing is available, free of charge to new members while they equip themselves. You will be covered by the society’s insurance at all advertised events. along with a brief history of the Regiment. If you have any membership queries or special needs or need to send your membership correspondence, please direct it through the Regimental Adjutant below. When you join, we would ask you to please complete the gift aid form on the application sheet, as this will mean that when your application has been processed Rivers’ Regiment will receive money from the society for the Regimental funds.